PRP therapy enhances the results of our hair restoration treatments. At Serrão Rejuvenation Center, Dr. John Serrão, a board certified gynecologist and post-graduate trained cosmetic surgeon, offers PRP therapy for women in Orlando, Winter Park and the surrounding areas of Florida. Platelet-rich plasma, or PRP, is proven to enhance hair restoration treatments. PRP contains growth factors that help hair cells develop, divide and repair. The result is fuller, thicker hair. PRP works by enhancing terminus hairs that are in the growing stage, as well as vellus hairs. 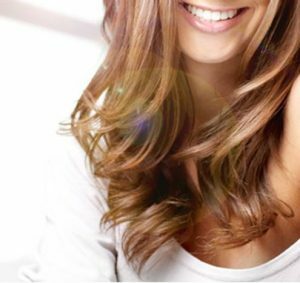 The result is a healthier, longer, thicker hair shaft that is more likely to survive the growth stage. PRP can be applied to existing vellus and terminus hairs or to transplanted hairs. At Serrão Rejuvenation Center, we use a patient-centered approach that begins with the most conservative treatment for hair loss. By using this type of staged treatment strategy, we minimize the amount of downtime and recovery for our patients. 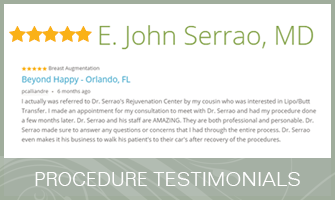 Dr. Serrão strives to be one of the first physicians in Central Florida to introduce new treatments to his patients, and PRP therapy is no exception. He has helped many women restore their hair thanks to the benefits of platelet rich plasma. Combining PRP therapy with your other hair restoration treatments improves the outcomes. At Serrão Rejuvenation Center, Dr. John Serrão, a board certified gynecologist and post-graduate trained cosmetic surgeon, offers PRP therapy for women in Orlando, Winter Park and the surrounding areas of Florida. 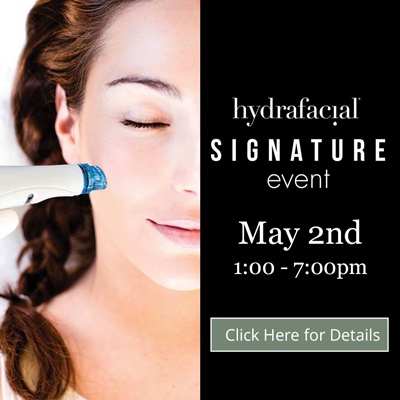 To learn more, contact us to schedule a consultation and begin your rejuvenation today. Plasma that is rich in platelets has a higher concentration of growth factors that your body uses for cell development. For hair restoration, this means that PRP therapy provides an additional boost of growth factors that are needed for hair follicles to develop, grow and survive. What Happens During PRP Therapy Treatments? Hair restoration with PRP therapy takes about an hour and is performed in our AAAHC-accredited surgical center. A small amount of your blood is drawn and processed in a centrifuge to separate the components. The plasma to drawn from the vial and into a syringe. Once the blood is prepared, Dr. Serrão uses local anesthesia to numb the area of the scalp that is being treated. The PRP is applied to the scalp, and the Eclipse MicroPen is used to create micro-channels in the skin. These micro-channels allow the PRP to penetrate deeper into the scalp where hair follicles grow. We follow the microneedling procedure with laser light therapy to activate the growth factors. How Long is the Recovery from Hair Restoration with PRP Therapy? Your scalp may appear slightly red after PRP therapy, but no downtime is needed. There are no restrictions to your activities, and you can even shampoo your hair right after the treatment. The cost of PRP therapy for hair restoration is based upon several factors, so we can discuss this aspect of your treatment plan at the time of your consultation. In the meantime, you can learn about our financing options should you want to make affordable monthly payments for the procedure.